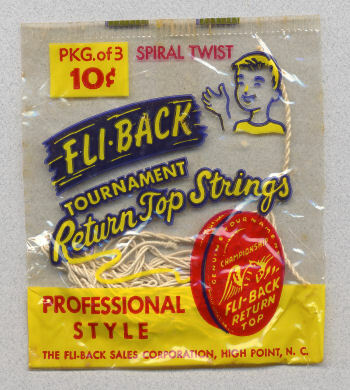 To my knowledge, this is the only cellophane packaged string pack that was ever made. In most cases, the cellophane becomes very brittle with age. Made by the Fli-Back Sales Corporation, Hight Point, N.C.